Stream for Reddit, aka RedditStream, is a live, auto-updating flow of Reddit comment sections, aka game threads. Get hit with waves of dank new comments as you tune out the commercials and upvote hilarious memes while watching with all your internet buds on RedditStream. 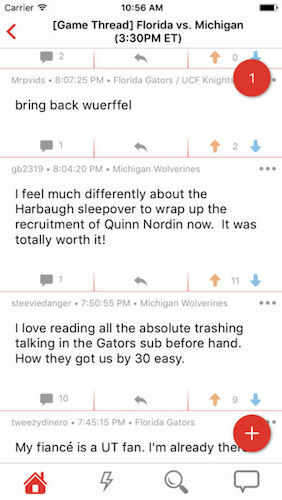 RedditStream was built for Redditors that crave their game-day karma. While it is intended for sports threads, it can be used for any Reddit comment section! [+] Smooth, live-updating game threads.. No need to smash that refresh! [+] Follow threads.. Post hilarious comments.. Upvote dank memes..